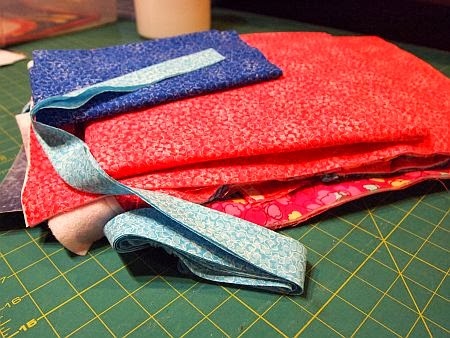 52 Quilts in 52 Weeks: Selfish Sewing Week: I Can Do It! Selfish Sewing Week: I Can Do It! 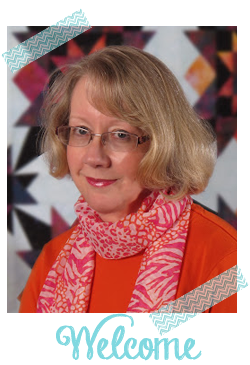 When I first read about "Selfish Sewing Week" on Rachael's "imagine gnats" blog, I thought, "Oh yeah, what a great idea!" Now the week is here, and I had no idea what to sew for myself when I realized "today is the day!" I'm totally on board with the glass of wine, but since I give away 99% of the quilts, bags, mug rugs, etc. I make, I had no idea what to make for ME! Luckily, Debbie listed her goals for the week, and one is a new bag. I have two test-sew bags in the queue, so I don't want to make a new bag. 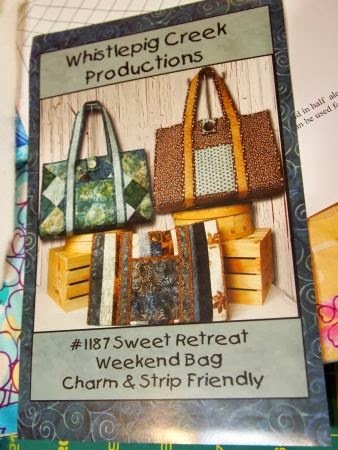 But wait a minute -- there IS that "Sweet Retreat" bag I started at Quilting in the Pines two, maybe three years ago. I know it's in a plastic bin -- where is it? 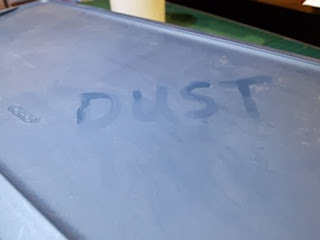 Found it, hiding under My Little Sailor's loom, covered with dust. See? I even have the binding made. The pattern calls for 6-8" gussets on each side, but I think I'll alter it to be nearly flat. I want it to carry my big cutting mat and junior size Sew Steady table, plus maybe a ruler or two. 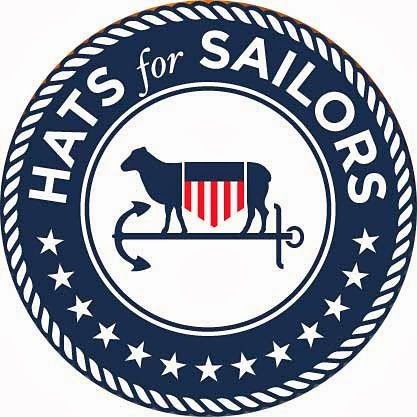 If you want to make one, too, here is the link to Whistlepig Creek Productions. 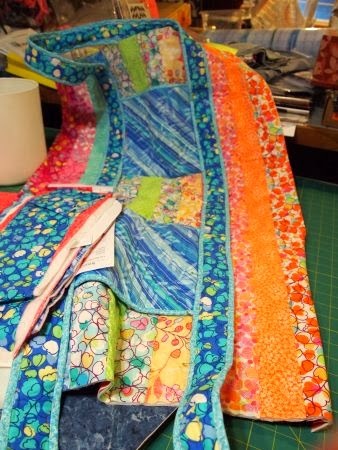 Now, if it just weren't 7:55 am, I could pour that glass of wine and get to work on my Selfish Sewing project! Have a great Selfish Sewing Day! It will soon be lunchtime and you can reward yourself with that glass of wine! What a great idea, except we won't be back home until Friday night. Hopefully Selfish Sewing Week will come around again. And I think your bag is super. I wa just catching up with our posts when I read this! hahaha! Sometimes you gotta just go with the flow whenever it hits you! Loving your site and wanted to say thanks for the great ideas and endless motivation you give me!